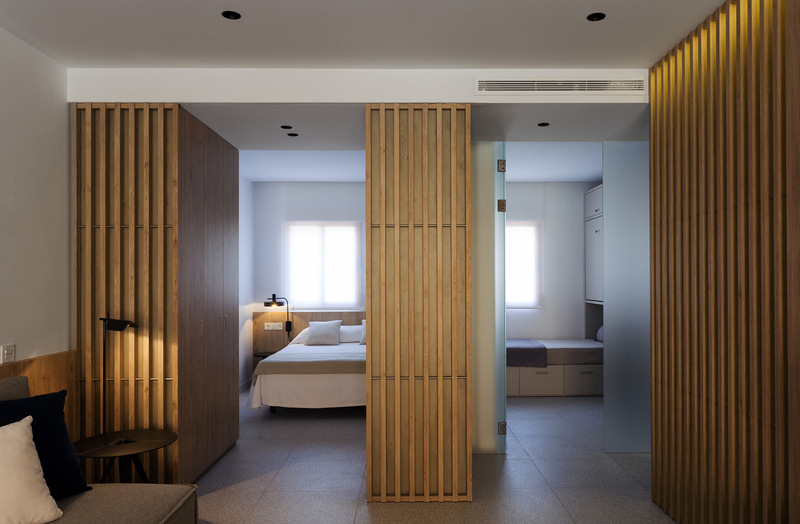 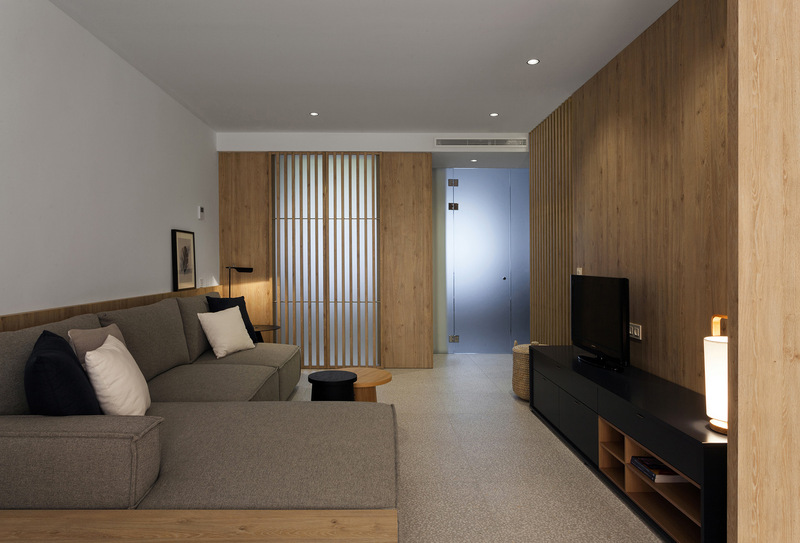 The renovation project of this holiday apartment in Santa Pola (Alicante) had as its main objective to give it a renewed and current appearance and, at the same time, to achieve a functional and practical style within the entire space. 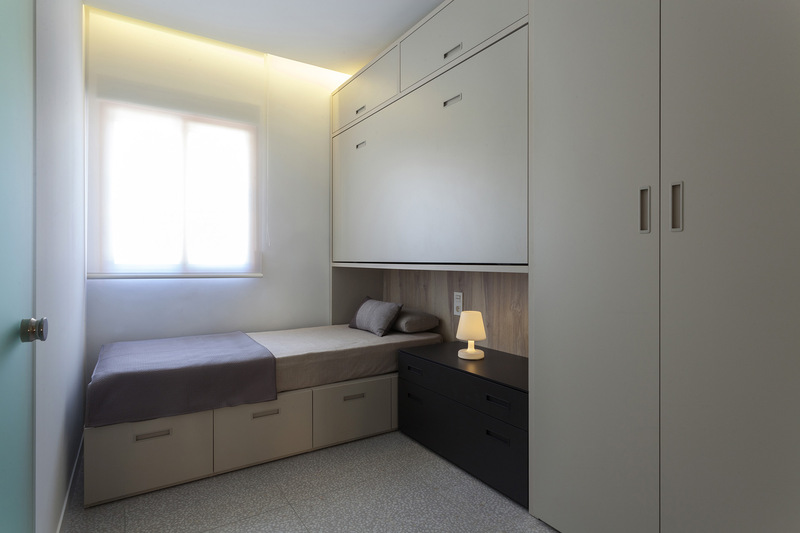 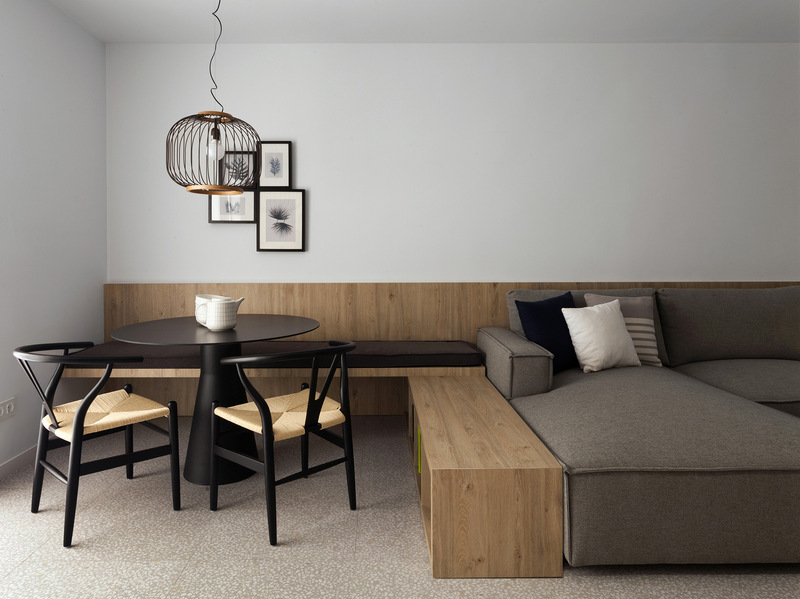 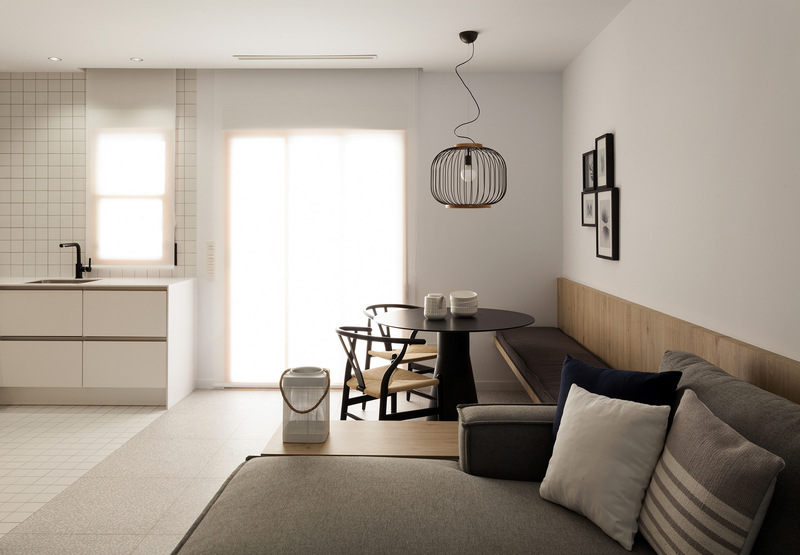 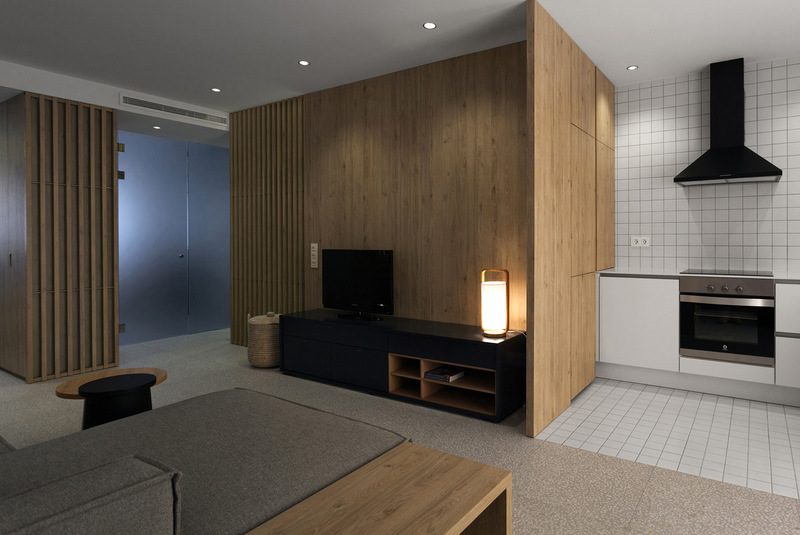 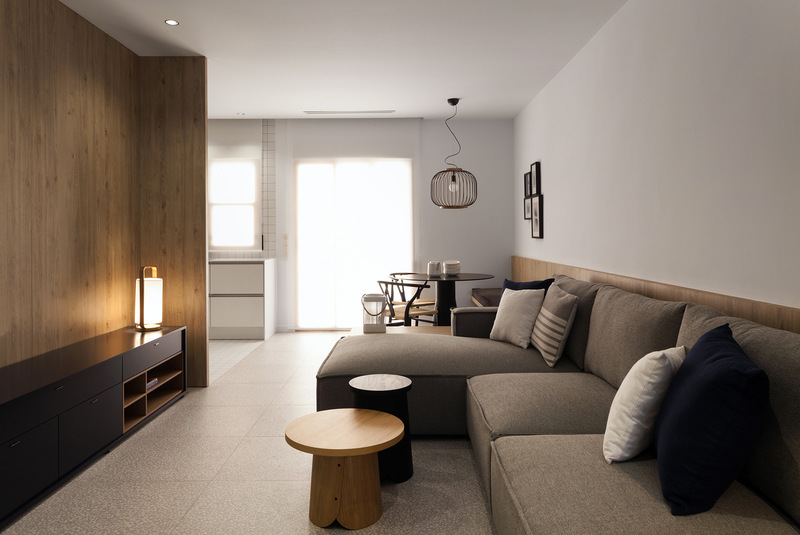 In order to achieve this, first of all, soft and neutral tones combined with natural elements were chosen to create a feeling of warmth throughout the apartment. 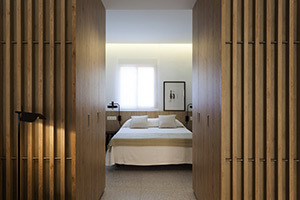 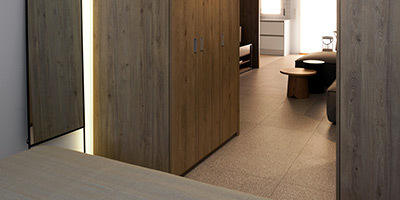 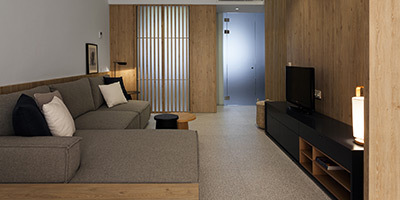 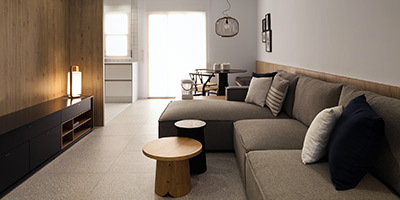 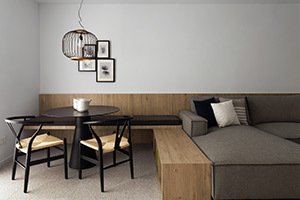 Second, all the rooms are integrated into one creating the feeling of a hotel suite thanks to the use of the Portofino Cream porcelain tile by VIVES in the 59.3x59.3 cm format inspired by the aesthetics of terrazzo. 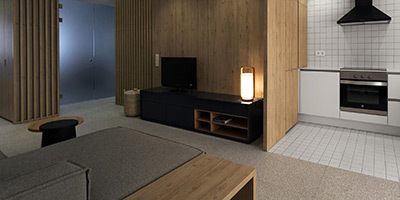 This floor tile homogeneously covers all the main rooms of the house, connecting them to each other and creating an open and uniform space. 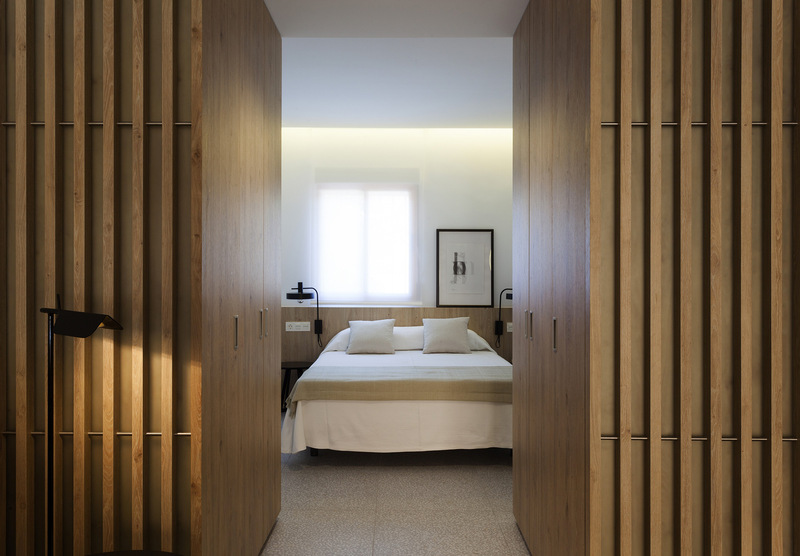 In addition, the aesthetics of the terrazzo provides a timeless value to the rooms while its cream tonality remains in tune with the use of wood - the star material of this project. 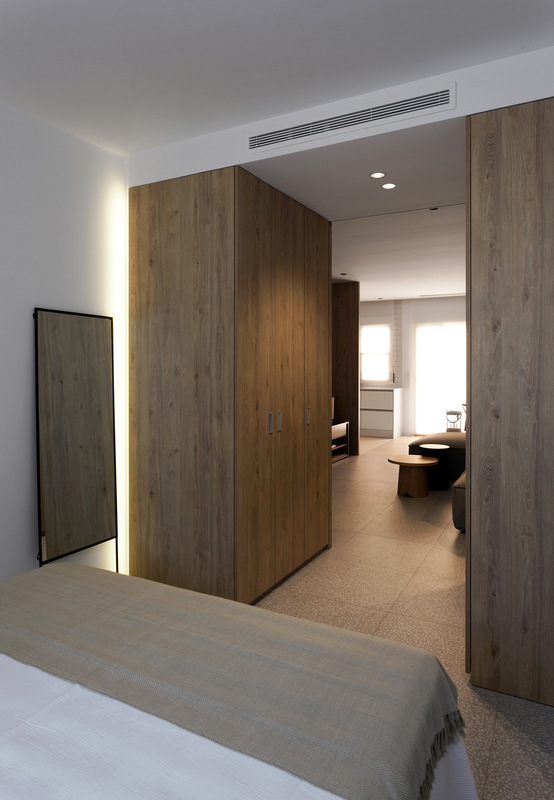 The project was carried out by the Manuel García Asociados, and the photographs were taken by Diego Opazo.